Fifty-five years ago this month, the USAF/North American X-10 experimental research vehicle hit a maximum speed of Mach 2.05 during its 19th test flight. The mark established a new speed record for turbojet-powered aircraft. There was a total of twenty-seven (27) X-10 flight tests. Fifthteen (15) flight tests took place at the AFFTC between October of 1953 and March of 1955. Twelve (12) flight tests were conducted at the AFMTC between August 1955 and November 1956. X-10 airframe GM-52-1 achieved the highest speed of the type’s flight test series. On Wednesday, 29 February 1956, the aircraft recorded a peak Mach Number of 2.05 during the 19th flight test of the X-10 Program. At the time, this was a record for turbojet-powered aircraft. The mission originated from and recovered to the AFMTC. Fifty-six years ago this week, North American test pilot George F. Smith became the first man to survive ejection from an aircraft in supersonic flight. Smith ejected from his F-100A Super Sabre at 777 MPH (Mach 1.05) as the crippled aircraft passed through 6,500 feet in a near-vertical dive. Replying in the affirmative, Smith quickly donned a company flight suit over his street clothes, got the rest of his flight gear and pre-flighted the F-100A Super Sabre (S/N 53-1659). After strapping into the big jet, Smith went through the normal sequence of aircraft flight control and system checks. While the control column did seem a bit stiff in pitch, Smith nonetheless made the determination that his steed was ready for flight. Smith executed a full afterburner take-off to the west. 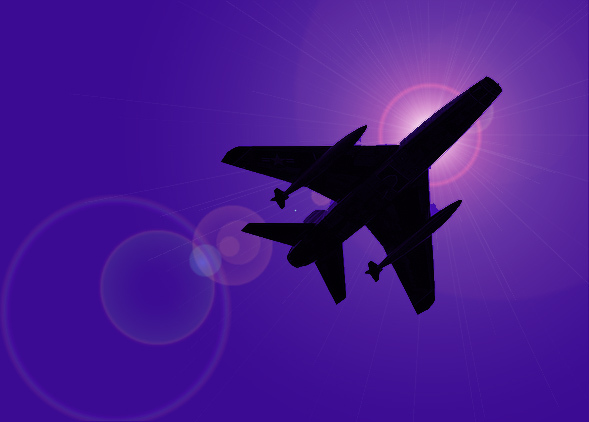 The fleet Super Sabre eagerly took to the air. Accelerating and climbing, the aircraft was almost supersonic as it passed through 35,000 feet. Peaking out around 37,000 feet, Smith sensed a heaviness in the flight control column. Something wasn’t quite right. The jet was decidely nose heavy. Smith countered by pulling aft stick. The Super Sabre did not respond at all to Smith’s control inputs. Instead, it continued an uncommanded dive. Shallow at first, the dive steepened even as the 215-lb pilot pulled back on the stick with all of his might. But all to no avail. The jet’s hydraulic system had failed. As the stricken aircraft now accelerated toward the ground, Smith rightly concluded that this was going to be a short ride. George Smith knew that he had only one alternative now. Eject. However, he also knew that the chances were small that he could survive what was quickly shaping-up to be a quasi-supersonic ejection. Suddenly, over the radio, Smith heard another F-100A pilot flying in his vicinity yell: “Bail out, George! He proceeded to do so. Smith jettisoned his canopy. The roar from the airstream around him was unlike anything he had ever heard. Almost paralyzed with fear, Smith reflexively hunkered-down in the cockpit. The exact wrong thing to do. His head needed to be positioned up against the seat’s headrest and his feet placed within retraining stirrups prior to ejection. But there was no time for any of this now. Smith pulled the ejection seat trigger. George Smith’s last recollection of his nightmare ride was that the Mach Meter read 1.05; 777 mph at the ejection altitude of 6,500 feet above the Pacific Ocean. These flight conditions corresponded to a dynamic pressure of 1,240 pounds per square foot. 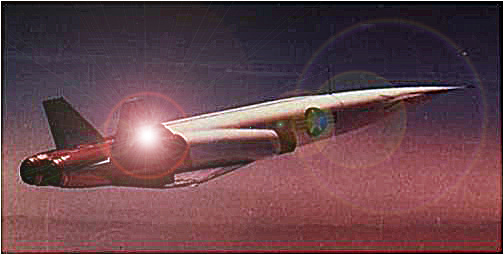 As he was fired out of the cockpit and into the harsh airstream, Smith was subjected to a drag force of around 8,000 lbs producing on the order of 40-g’s of deceleration. Mercifully, Smith did not recall what came next. The ferocious windblast stripped him of his helmet, oxygen mask, footwear, flight gloves, wrist watch and even his ring. Blood was forced into his head which became grotesquely swollen and his facial features unrecognizable. 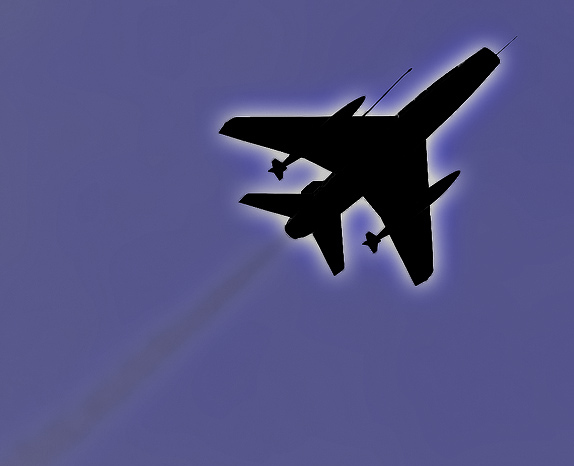 His eyelids fluttered and his eyes were tortuously mauled by the aerodynamic and inertial load of his ejection. Smith’s internal organs, most especially his liver, were severely damaged. His body was horribly bruised and beaten as it flailed end-over-over end uncontrollably. Smith and his seat parted company as programmed followed by automatic deployment of his parachute. The opening forces were so high that a third of the parachute material was ripped away. Thankfully, the remaining portion held together and the unconscious Smith landed about 75 yards away from a fishing vessel positiond about a half-mile form shore. Providentially, the boat’s skipper was a former Navy rescue expert. Within a minute of hitting the water, Smith was rescued and brought onboard. Fifty-years ago this week, the NASA SCOUT small launch vehicle successfully orbited the Explorer IX satellite. This achievement marked the first time that an all-solid propellant launch vehicle orbited an artificial satellite. The concept for the Solid Controlled Orbital Utility Test (SCOUT) launch vehicle dates back to the late 1950’s. The National Advisory Committee For Aeronautics (NACA) saw a need to develop a simple, low-cost launch vehicle for boosting small science payloads into space. Propulsion units for each stage would be selected from the existing inventory of solid rocket motors. The SCOUT SLV was a 4-stage, all-solid propellant launch vehicle that stood roughly 75-feet in height. The initial version of the vehicle was designed to put a 130-lb payload into a 115 nm circular Earth orbit. The payload capacity of later versions approached 500 lbs. A fifth stage could be added to provide greater velocity performance for missions involving reentry vehicle research, highly elliptical orbits and solar probes. The original SCOUT propulsion stack consisted of an Algol 1st stage (105,000 lbs thrust), Castor 2nd stage (64,300 lbs thrust), Antares 3rd stage (13,500 lbs thrust) and an Altair 4th stage (3,000 lbs thrust). Many variants of the SCOUT were developed over the program’s life time as the demand increased for higher payload capability. These variants were primarily the result of rocket motor thrust-level upgrades. A compelling aspect of the SCOUT SLV was the fact that its launch support infrastructure was less involved that the bigger liquid-fueled launch vehicles such as Atlas, Delta and Titan. SCOUT was launched from at least three (3) separate sites; Wallops Island, VA, Vandenberg AFB, CA and San Marco Island just off the coast of Kenya. The latter pair of launch locations supported polar and equatorial orbit missions, respectively. SCOUT developmental test flights began in April of 1960. The first ten (10) test flights included four (4) orbital attempts. The only successful orbital mission was that flown on Thursday, 16 February 1961 with launch taking place from LA-3 at the Wallops Flight Facility (WFF). 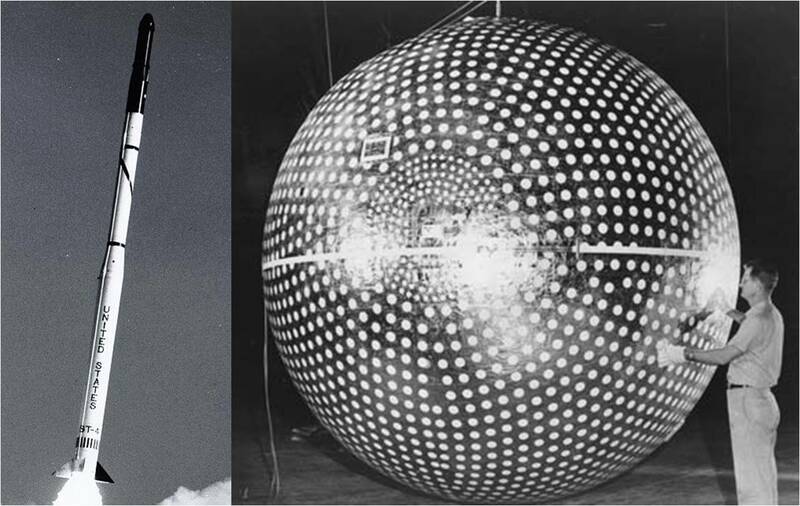 The Explorer IX payload was successfully placed into orbit where it was used to study the density and composition of the upper thermosphere and lower exosphere. This mission also marked the first time that a satellite had been orbited from WFF. While NASA’s SCOUT SLV program lasted more than three (3) decades and was very successful, USAF’s experience with the vehicle was quite different. Under the code names Blue SCOUT and Blue SCOUT Junior, the service employed variants of the basic SCOUT SLV for military missions. Hardware reliability issues and inter-organizational disconnects with NASA led to the USAF SCOUT SLV program being ended in 1967. The NASA SCOUT SLV was flown 116 times between 1960 and 1994. Of that total, the break-out between research and development (R&D) flights and operational missions was 21 and 95, respectively. Parenthetically, it must be noted that the variety of space payloads launched by SCOUT is a story in itself. (One that must be told another day.) Suffice it to say here that SCOUT was a workhorse launch vehicle for NASA and contributed mightily to the scientific exploration of both near and deep space. Thirty-seven years ago this month, the Mariner 10 interplanetary space probe successfully conducted a flyby encounter with the planet Venus. The Venusian flyby served as a necessary prelude to a subsequent first-ever flyby of the planet Mercury. The Mariner Program concentrated on the scientific exploration of the inner planets of the solar system. Namely, Mars, Venus and Mercury. A total of ten (10) Mariner missions were attempted; seven (7) of which were successful. These missions were flown between 1962 and 1974. As outlined below, the Mariner Program recorded a number of important spaceflight firsts. Mariner spacecraft were the first to successfully conduct a flyby of Venus (Mariner 2), Mars (Mariner 4) and Mercury (Mariner 10). Additionally, the first close-up photos of Mars and Venus were taken by Mariner 4 and Mariner 10, respectively. Mariner 9 was the first spacecraft to orbit Mars. Finally, Mariner 10 was the first space probe to fly a gravity assist trajectory and perform a flyby of two (2) planets (Venus and Mercury) during a single mission. Mariner spacecraft weighed between 450 and 950 lbs for flyby missions and 2,200 lbs for an orbital mission. Each carried a variety of mission-specific sensors including radiometers, spectrometers and television cameras. 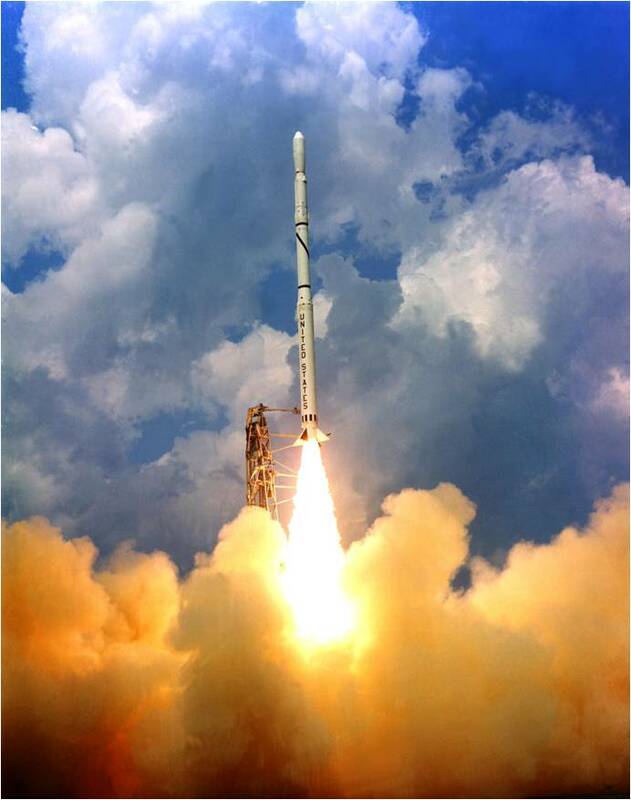 Atlas-Agena (Mariners 1 to 5) and Atlas-Centaur (Mariners 6 to 10) launch vehicles provided the energy required for Earth-escape. Mariner 10 was the last mission of the Mariner Program. The primary objectives were to make measurements of the space, atmospheric and surface environments of Venus and Mercury. This dual-planet mission required the first-ever use of a gravity assist maneuver to get to Mercury. In particular, the gravity of Venus would be used to deflect the Mariner 10 trajectory such that it would be able to encounter Mercury. Mariner 10 was launched from Cape Canaveral’s LC-36B at 05:45 UTC on Saturday, 03 November 1973. 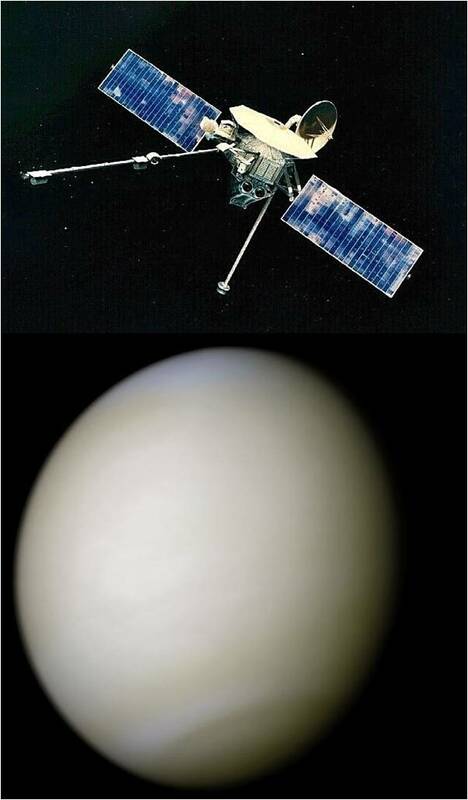 It took 94 days for Mariner 10 to arrive at Venus. As a bonus, the space probe trained its complement of sensors on the Comet Kohoutek along the way. On Tuesday, 05 February 1974, Mariner 10 passed within 3,100 nm of the Venusian surface at 17:01 UTC. The spacecraft then sailed on toward its future flyby encounters with Mercury. Mariner 10 learned many things about Venus. Venus was found to have an atmospheric circulation pattern somewhat like that of Earth. Although its strength is very much less than that of Earth, Venus was found to have a magnetic field. The planet’s ionosphere also interacted with the solar wind to produce a huge bow shock flowfield in the exoatmospheric region surrounding the planet. Between March of 1974 and March of 1975, Mariner 10 performed three (3) flybys of the planet Mercury. The closest approach to the planet’s surface was a mere 177 nm. Mercury’s surface was found to be very Moon-like in that it is heavily-cratered. Spacecraft measurements also confirmed that Mercury does not have an atmosphere. Further, Mercury was found to have a predominatly iron-laden core as well as a small magnetic field. Following the last of the trio of flyby encounters with Mercury, Mariner 10 systems were put through a number of engineering tests. The mission was officially brought to an end on Monday, 24 March 1975 when the spacecraft attitude control system propellant supply went to zero. Today, the Mariner 10 hulk continues in an eternal orbit about the Sun.